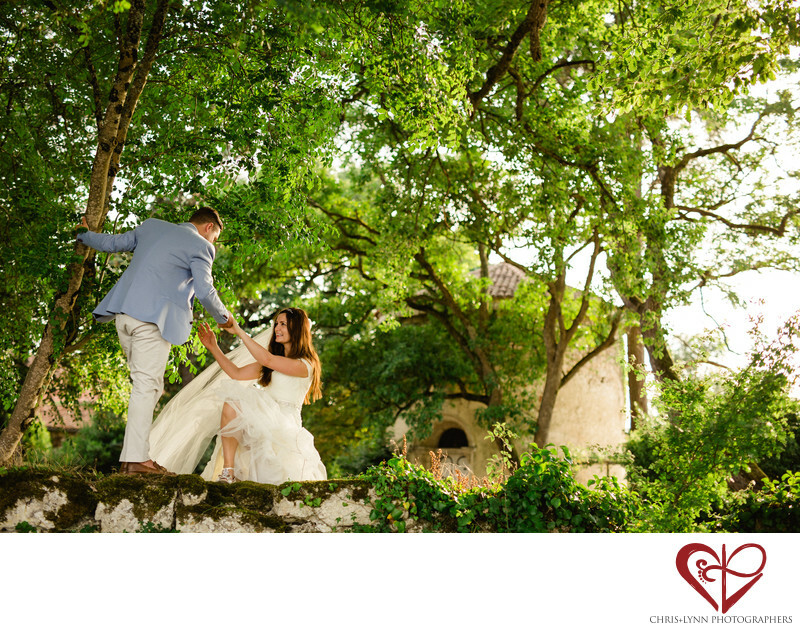 We love photographing chateau weddings in the French countryside! There is something so special about a destination wedding in France - the rolling hills, the wine, the storied pasts of the regal chateaus, the pure romance of it all. At Belle Vie de Chateau. also known as Chateau Malliac in the Gascony region, there is an old chapel on the property as well as acres and acres of sunflower fields. This wedding photograph captures a moment between the bride and groom during their portrait session on the property. Our aim during a wedding portrait sessions is to keep things fun & relaxed, and this quote shows we really accomplished that mission during this Chateau de Malliac wedding. And no tequila was even required! 1/250; f/2.0; ISO 100; 50.0 mm.